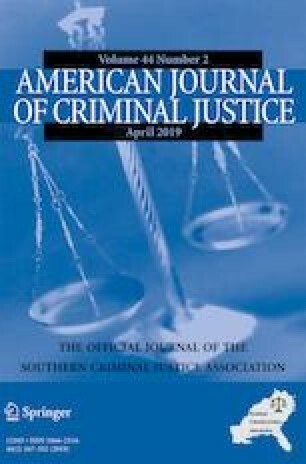 Criminological Research and the Death Penalty: Has Research by Criminologists Impacted Capital Punishment Practices? At the request of the SCJA president this paper addresses five questions. Does criminological research make a difference relative to the death penalty? - If criminological research does make a difference, what is the nature of that difference? - What specific instances can one cite of research findings influencing death penalty policy decisions? Why hasn’t our research made more of a difference? What can we do, either in terms of directing our research or in terms of disseminating it, to facilitate it making a difference? Specific examples of research directly impacting policy are examined. The evidence presented suggests that research on capital punishment has had some impact on policy, but not nearly enough. There is still a high level of ignorance that has limited the impact of criminological research on death penalty policy. The proposed solution is to improve the education of the general public and decision makers in order to increase the impact of criminological research on capital punishment policy. ABA. (1997). American Bar Association Policy 1997 MY 107: Death Penalty Moratorium Resolution. https://www.americanbar.org/groups/committees/death_penalty_representation/resources/dp-policy/moratorium-1997.html. Accessed 7 June 2018. ABA. (2017). Amicus Curiae Briefs. https://www.americanbar.org/groups/committees/amicus.html. Accessed 30 Aug 2018. ABA. (2018a). American Bar Association: Death Penalty due Process Review Project Report to the House of Delegates. https://www.americanbar.org/groups/committees/death_penalty_representation/resources/dp-policy/moratorium-1997.html. Accessed 7 June 2018. ABA. (2018b, February 5). Ban death penalty for those 21 or younger. ABA Journal: ABA House says http://www.abajournal.com/news/article/Ban_death_penalty_for_those_21_or_younger_aba_house_says/. Accessed 31 July 2018. ACLU. (2016). Capital punishment. American Civil Liberties Union. https://www.aclu.org/issues/capital-punishment. Accessed 7 June 2018. ALI. (2009). Report of the council to the membership of the American law institute on the matter of the death penalty. American Law Institute. https://www.ali.org/media/filer_public/3f/ae/3fae71f1-0b2b-4591-ae5c-5870ce5975c6/capital_punishment_web.pdf. Accessed 17 June 2018. AMA. (n.d.). Capital Punishment: Code of Medical Ethics Opinion 9.7.3. https://www.ama-assn.org/delivering-care/capital-punishment. Accessed 8 June 2018. Amnesty International. (n.d.). Death penalty. Amnesty International USA. https://www.amnestyusa.org/issues/death-penalty/. Accessed 7 June 2018. APA. (2001, August). The Death Penalty in the United States. American Psychological Association. http://www.apa.org/about/policy/death-penalty.aspx. Accessed 7 June 2018. APA. (2018, May 1). APA amicus briefs by year. http://www.apa.org/about/offices/ogc/amicus/index-chron.aspx. Accessed 30 Aug 2018. APA, American Psychiatric Association, (2018) National Association of Social Workers, & American Academy of Psychiatry and Law. Dassey v. Dittman. , No. 17–1172 (U.S. 2018). https://www.supremecourt.gov/DocketPDF/17/17-1172/39982/20180326134136295_Dassey%20v.%20Dittmann%2003.26.18%20Cert%20Stage%20Amicus%20Brief.pdf. Accessed 22 Aug 2018. APHA. (1986, January 1). Abolition of the Death Penalty. American Public Health Association. https://www.apha.org/policies-and-advocacy/public-health-policy-statements/policy-database/2014/07/14/13/50/abolition-of-the-death-penalty. Accessed 8 June 2018. Applebome, P. (2012, April 11). Connecticut House Votes to Repeal Death Penalty. The New York Times. https://www.nytimes.com/2012/04/12/nyregion/connecticut-house-votes-to-repeal-death-penalty.html. Accessed 8 June 2018. ASA. (2015). Amicus Briefs. http://www.asanet.org/amicus-briefs. Accessed 31 Aug 2018. ASC. (1989). Historical policy positions: Official policy position of the American Society of Criminology with respect to the death penalty. American Society of Criminology. https://www.asc41.com/policies/policyPositions.html. Accessed 7 June 2018. Ball, J. (2007, May). Illinois’ death penalty: Still too flawed to fix. Campaign to End the Death Penalty. http://www.nodeathpenalty.org/new_abolitionist/may-2007-issue-42/illinois%E2%80%99-death-penalty. Accessed 8 June 2018. Byrd, V., & Allen, D. (2017, February 21). ANA Releases New Position Statement Opposing Capital Punishment. American Nurses Association. https://www.nursingworld.org/news/news-releases/2017-news-releases/ana-releases-new-position-statement-opposing-capital-punishment/. Accessed 8 June 2018. Culp-Ressler, T. (2014, April 10). One Sentence That Could Help End The Death Penalty In America. Think Progress. https://thinkprogress.org/one-sentence-that-could-help-end-the-death-penalty-in-america-8246f562d923/. Accessed 8 June 2018. Donohue, J. J. (2011, October 15). Capital Punishment in Connecticut, 1973–2007: A Comprehensive Evaluation from 4686 Murders to One Execution. https://deathpenaltyinfo.org/documents/DonohueCTStudy.pdf. Accessed 8 Jun 2018. DPIC. (2002). Executions is the U.S. 1608-2002: The ESPY File Executions by State. https://deathpenaltyinfo.org/documents/ESPYyear.pdf. Accessed 25 Sep 2018. DPIC. (2009). Governor bill Richardson signs repeal of the death penalty. Death Penalty Information Center. https://deathpenaltyinfo.org/governor-bill-richardson-signs-repeal-death-penalty. Accessed 8 June 2018. DPIC. (2016, November 9). States With and Without the Death Penalty. Death Penalty Information Center. https://deathpenaltyinfo.org/states-and-without-death-penalty. Accessed 7 June 2018. DPIC. (2017, December 31). Death sentences in the United States from 1977 by state and by year. Death Penalty Information Center. https://deathpenaltyinfo.org/death-sentences-united-states-1977-present. Accessed 7 June 2018. DPIC. (2018a). Abolitionist and Retentionist Countries. https://deathpenaltyinfo.org/abolitionist-and-retentionist-countries. Accessed 25 Sep 2018. DPIC. (2018b). Nebraska Executes Carey Dean Moore in First Execution in 21 Years. https://deathpenaltyinfo.org/node/7175. Accessed 25 Sep 2018. DPIC. (2018c). Recent Legislative Activity. https://deathpenaltyinfo.org/recent-legislative-activity#currentyear. Accessed 25 Sep 2018. DPIC. (2018d). States With and Without the Death Penalty. https://deathpenaltyinfo.org/states-and-without-death-penalty. Accessed 8 Apr 2019. DPIC. (2018e). The Death Penalty: An International Perspective. https://deathpenaltyinfo.org/death-penalty-international-perspective#interexec. Accessed 25 Sep 2018. DPIC. (2018f, May 16). Searchable execution database. https://deathpenaltyinfo.org/views-executions. Accessed 25 Sep 2018. DPIC. (2018g, July 12). Poll: Washington State Voters Overwhelmingly Prefer Life Sentences to Death Penalty. https://deathpenaltyinfo.org/node/7149. Accessed 25 Sep 2018. Eckholm, E. (2016, August 2). Delaware Supreme Court Rules State’s Death Penalty Unconstitutional. The New York Times. https://www.nytimes.com/2016/08/03/us/delaware-supreme-court-rules-states-death-penalty-unconstitutional.html. Accessed 8 June 2018. European Commission. (2018, June 7). Fight against death penalty. International Cooperation and Development. https://ec.europa.eu/europeaid/sectors/human-rights-and-governance/democracy-and-human-rights/fight-against-death-penalty_en. Accessed 7 June 2018. Gallup Inc. (n.d.). Death penalty. Gallup.com. http://news.gallup.com/poll/1606/Death-Penalty.aspx. Accessed 21 January 2018. Grinberg, E. (2009, March 18). New Mexico governor repeals death penalty in state. CNN. http://www.cnn.com/2009/CRIME/03/18/new.mexico.death.penalty/. Accessed 8 June 2018. Haney, C. (2016, August 16). Floridians prefer life without parole over capital punishment for murderers. Tampa Bay Times. http://www.tampabay.com/opinion/columns/column-floridians-prefer-life-without-parole-over-capital-punishment-for/2289719. Accessed 7 June 2018. Hillsman, S. (2005). Executive Officer’s column: What really mattered to the supreme court. American Sociological Association. http://www.asanet.org/sites/default/files/savvy/footnotes/mayjun05/exec.html. Accessed 22 August 2018.
International Commission Against the Death Penalty. (2013). How States Abolish the Death Penalty. http://www.icomdp.org/cms/wp-content/uploads/2013/04/Report-How-States-abolition-the-death-penalty.pdf. Accessed 8 June 2018. Maryland Commission on Capital Punishment. (2008). Final Report to the General Assembly. https://msa.maryland.gov/megafile/msa/speccol/sc5300/sc5339/000113/012000/012331/unrestricted/20100208e.pdf. Accessed 8 June 2018. NAACP. (2017, January 17). Death penalty fact sheet. National Association for the Advancement of Colored People. http://www.naacp.org/latest/naacp-death-penalty-fact-sheet/. Accessed 7 June 2018. New Jersey Death Penalty Study Commission. (2007). New Jersey Death Penalty Study Commission Report. http://www.njleg.state.nj.us/committees/dpsc_final.pdf. Accessed 8 June 2018. New Mexico Coalition to Repeal the Death Penalty. (2017). New Mexico death penalty action. New Mexico Coalition to Repeal the Death Penalty. http://www.nmrepeal.org/. Accessed 8 June 2018. Oliphant, B. (2016, September 29). Support for death penalty lowest in more than four decades. Pew Research Center. http://www.pewresearch.org/fact-tank/2016/09/29/support-for-death-penalty-lowest-in-more-than-four-decades/. Accessed 31 July 2018. Oliphant, B. (2018, June 11). Public support for the death penalty ticks up. Pew Research Center. http://www.pewresearch.org/fact-tank/2018/06/11/us-support-for-death-penalty-ticks-up-2018/. Accessed 31 July 2018. Oxford, A. (2018, February 3). Swift end for House bill to reinstate death penalty. The Santa Fe New Mexican. http://www.santafenewmexican.com/news/legislature/swift-end-for-house-bill-to-reinstate-death-penalty/article_4dec9f33-0253-50c3-8e22-16a12ba01f9a.html. Accessed 8 June 2018. Pentin, E. (2018, August 2). Pope Francis Changes Catechism to Say Death Penalty ‘Inadmissible.’ http://www.ncregister.com/blog/edward-pentin/pope-francis-changes-catechism-to-declare-death-penalty-inadmissible. Accessed 25 Sep 2018. Quinnipiac University National Poll. (2018, March 22). Most U.S. Voters Back Life Over Death Penalty. QU Poll. https://poll.qu.edu/national/release-detail?ReleaseID=2530. Accessed 8 June 2018. Sourcebook of Criminal Justice Statistics. (2013). Table 2.51.2013: Attitudes toward the death penalty for persons convicted of murder. https://www.albany.edu/sourcebook/pdf/t2512013.pdf. Accessed 21 January 2018. Top Stories. (2017, October 5). Lower house in US state of Delaware votes to reinstate death penalty. Top Stories. http://www.dw.com/en/lower-house-in-us-state-of-delaware-votes-to-reinstate-death-penalty/a-38781130. Accessed 8 June 2018. UN General Assembly. (1989, November 15). Resolution 44/824: 2nd Optional Protocol to the International Covenant on Civil and Political Rights Aiming at the Abolition of the Death Penalty. http://www.un.org/en/ga/search/view_doc.asp?symbol=A/RES/44/128. Accessed 7 June 2018. UN General Assembly. (2015, February 4). Resolution 69/186: Moratorium on the use of the death penalty. http://dag.un.org/bitstream/handle/11176/158748/A_RES_69_186-EN.pdf?sequence=3&isAllowed=y. Accessed 7 June 2018. United States Conference of Catholic Bishops. (1980). Bishops’ statement on capital punishment. United States Conference of Catholic Bishops. http://www.usccb.org/issues-and-action/human-life-and-dignity/death-penalty-capital-punishment/statement-on-capital-punishment.cfm. Accessed 7 June 2018. Waldo, G. P., & Chiricos, T. G. (1977). Work release and recidivism: An empirical evaluation of a social policy. Evaluation Quarterly, 1(1), 87–108. https://doi.org/10.1177/0193841X7700100104. White, D. L. (2018, March 2). Survey Shows Most Pinellas County Voters Oppose Death Penalty. St. Pete Patch. https://patch.com/florida/stpete/survey-shows-most-pinellas-county-voters-oppose-death-penalty. Accessed 7 June 2018.